The statistics are alarming. One in four Canadians will need treatment for depression at some time in their life - but only a third of those people will ever seek help. While depression is quickly catching up to heart disease as the greatest worldwide cause of disability, its seriousness often goes unrecognized. Depression is more than just “feeling blue.” While it can be triggered by a sad life event, depression is not the same as sadness or grief. These are normal reactions to stress and loss, and tend to improve naturally over time. Depression, however, is an illness with physical, emotional and psychological symptoms, and can affect every aspect of your life. Left untreated, depression can last for years, affecting your success at work, home and in other areas of life. Thankfully, there is hope. Depression can usually be treated successfully. Changing the ways you think and behave, adjusting your relationships, and sometimes taking medication for a specific period of time can help you feel better. And while you may feel right now as if things are hopeless and nothing will help, just talking to your family doctor or EFAP counsellor about your feelings is a first step toward recovery. There is no reason for anyone with depression to go on suffering. 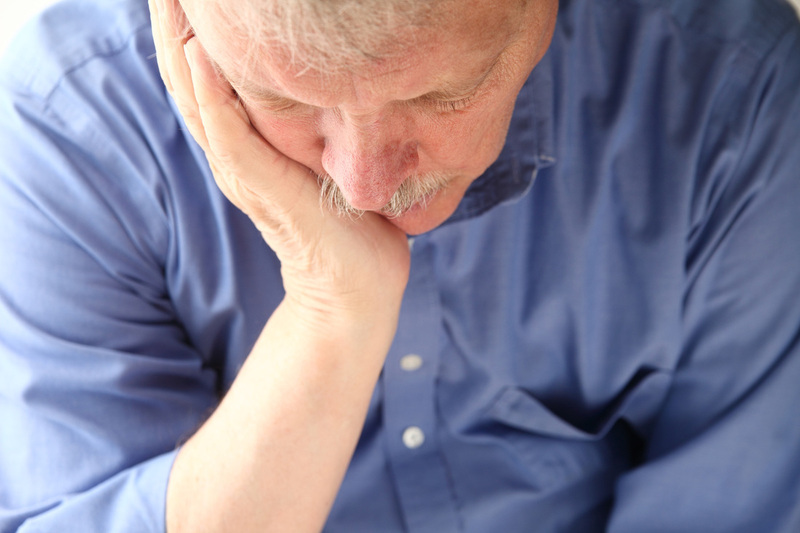 A crucial step toward getting help is to recognize the signs and symptoms of the illness. While people suffering with depression do not necessarily feel sad all the time, their happy and hopeful feelings tend to be fleeting, and they feel “down” or “depressed” much of the time. Many lose interest in things they once loved to do; some want to sleep all the time and others have trouble sleeping at all. Because people with depression can have many different symptoms, some of which can also be warning signs for other medical problems, the illness can be difficult to diagnose. However, doctors generally consider a person to be suffering from depression if he or she demonstrates several symptoms at once for a period of two weeks or more. Depression is not something that will go away on its own. 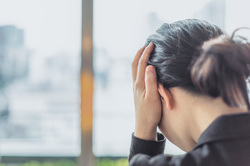 If you suspect that you or someone you care about could be suffering from depression, the Employee and Family Assistance Program is here to help. Our experienced, professional counsellors can work with you to assess your situation, help you to improve your mood, and recommend resources for additional support. Depression is a common mental illness that affects nearly 10 percent of the people in the United States. It is a treatable, medical condition — not a personal weakness. Everybody at one point or another experiences sadness or the “blues” as a reaction to loss, grief, or an emotionally upsetting incident. Someone might say they are “depressed,” but major depression is a serious medical condition requiring professional diagnosis and treatment. Depression left untreated can lead to other health care and life problems, and if severe enough, even suicide. Depression can be caused by one specific incident or a combination of factors. Grief over the loss of a loved one, a major life change, physical or emotional harm by another person, a physical injury, illness, or even side effects of medication could cause depression. Depression can also be caused by changes in the brain, and in many instances is hereditary. Depression often runs in families. Symptoms of depression may include sadness, hopelessness, irritability, feelings of guilt, crying spells, sleep and eating disturbances, a negative self- image, the inability to feel joy, changes in body weight, decrease in energy or sexual interest, headaches, and thoughts of suicide. Depression may include other symptoms not listed here. Do not blame yourself for symptoms of depression, and do not permit them to grow worse. Instead, seek help. Depression may be treated with or without medication, with individual or group counseling, diet, exercise, or other types of interventions including alternative therapies. Regardless of the approach taken, it is important to have depression evaluated by a medical doctor, preferably a psychiatrist. Thoughts of suicide warrant the immediate need for medical help. All EFAP services are confidential, and are available at no cost to employees and their immediate family members.